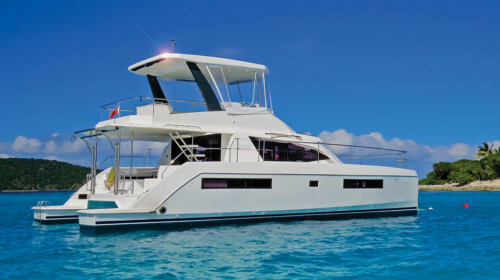 This Lagoon 440 is available for private yacht charters in Phuket. 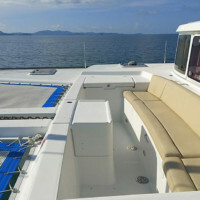 Lagoon 440 Charter Phuket with Boat in the Bay Yacht Charters. 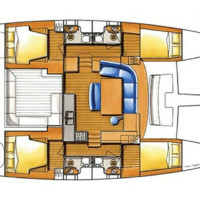 You will like this catamaran for its generous space, stability and smooth sailing. Lagoon Catamarans are world famous for their outstanding space and unique style. And this beautiful Lagoon 440 is no exception. It accommodates up to 35 passengers on a day charter, and 8 passengers overnight in its 4 double air-conditioned cabins, elegantly fitted. 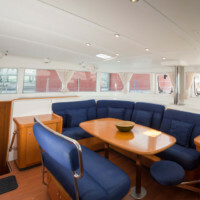 Its cockpit and aft deck have ample space for all passengers to enjoy their beloved activities: swim, do some water sports, sunbathe or lounge. 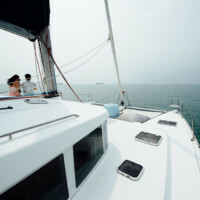 Relax and enjoy the fantastic scenery of the islands and beaches as you sail the waters of Phuket. Inside, it is equally impressive with an elegant saloon and all around windows to offer you the best panoramic views even when staying indoors. Onboard entertainment options include snorkeling and fishing equipment, as well as standup paddleboard. For those planning an overnight or multi-day sea adventure on this comfortable Lagoon 440, we have numerous route offers available. 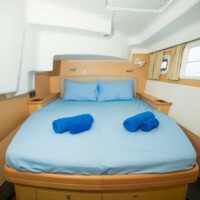 Our professional skipper, crew, and hostess will look after you during the whole trip. 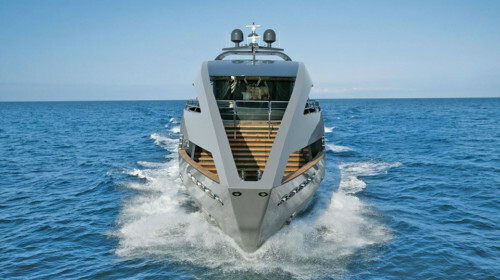 Have a look at the Lagoon website for detailed information about the Lagoon fleet. 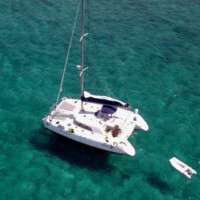 Contact Boat in the Bay today for charter inquiries on this Lagoon 440 and other catamaran charter options in Phuket. 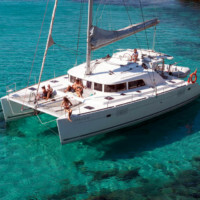 Day charter destinations: Coral and Maithon Island, or Racha and Maithon Island. Catering surcharge above 8 guests for a day charter – 1,200 THB per guest, and above 6 guests for an overnight charter – 2,700 THB per guest.